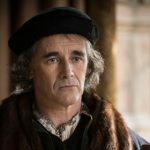 Unfortunately, Wolf Hall fans will have to wait at least two years before seeing the second installment of the Golden Globe winning historical drama starring Mark Rylance and Damian Lewis. 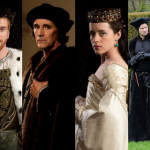 The series, which told the story of the rapid rise to power of Thomas Cromwell in the court of Henry VIII, was an adaptation of author Hilary Mantel’s two novels, Wolf Hall and Bringing Up the Bodies airing on BBC and PBS in 2015. 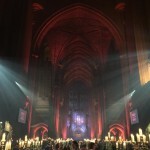 Director Peter Kosminsky revealed at the Radio Times Covers Party that the third book by author Hilary Mantel, tentatively called The Mirror and the Light, will not be finished this year and that the second and final series will not be broadcast for at least another year following. Unfortunately, there are more obstacles besides the fact that you kind of do need the book first before you can begin to adapt it to the small screen. 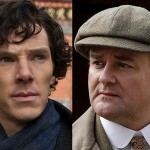 Sounding a bit like Sherlock and Doctor Who showrunner, Steven Moffat, trying to explain why it takes approximately two years before a new Sherlock graces our telly, the director said, “Getting that team back together is a challenge. For obvious reasons, very little is known about the story line for, what will now become the long-awaited second series. “What’s particular exciting is it’s not, ‘OK, just dramatize the short period of time between Anne Boleyn’s death and Cromwell’s death’. She’s going back in time, she’s going into memory, earlier parts of Cromwell’s life, and so it’s not going to be predictable in any way“, said Kosminsky. While it will be difficult and there will be some separation anxiety, the second series of Wolf Hall will be worth the wait. In the meantime, might I suggest a bit of Mr. Selfridge, Call the Midwife, Endeavour, Lewis, Sherlock or Wallander to pass the time?